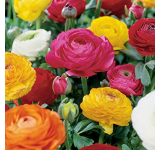 Ranunculus or Persian Buttercups are a favorite of florists with their beautiful rose-like blossoms that are packed with jewel-colored petals. 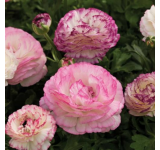 The salmon color of these flowers will make your garden more cheerful. 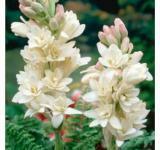 This flower blooms in late spring to early summer and attracts pollinators. 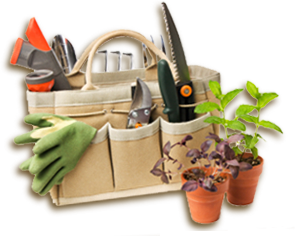 Hardiness zones 8-10. There are 12 bulbs in your order. 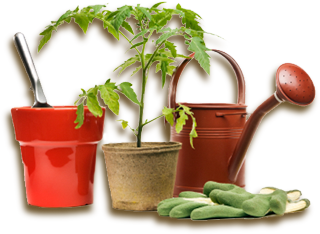 Planting: Easy to grow in well-drained soil in full sun or partial shade. Soak the bulbs for 2 hours in lukewarm water before planting to add moisture back to the bulb; this helps jump start rooting. 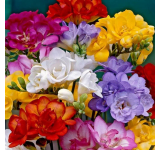 These flowers do best when planted 2-3 inches deep and a minimum of 4-6 inches apart.